Amir J. Ilin, the president of Küche+Cucina, a design firm he started 24 years ago. Ilin’s work has been featured on HGTV, on Donald trump’s The Apprentice, in numerous national publications and on many national magazine covers. He is also the recipient of various design awards, among them “Best of Show Design Award”, from Signature Kitchens & Baths 8 times! Ilin was commissioned to design special projects in very exclusive homes, some located far away from his base in NJ. 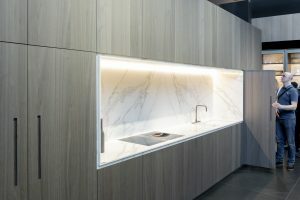 He was also chosen to create the cabinetry for the newly renovated Plaza Hotel, in NYC, as well as several luxury multi-unit projects around the country. 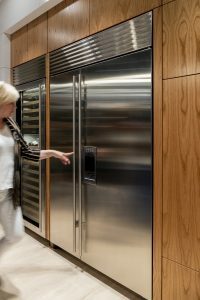 To date, Ilin was involved in installations of more then 3,000 kitchens around the US and the islands, as well as many outside the US, many for well known clients. 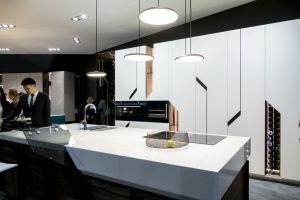 Launched in 1974, the biennial International Kitchen Exhibition and its collateral event FTK (built-in domestic appliances and their evolution) is the leading showcase for high-end kitchens. 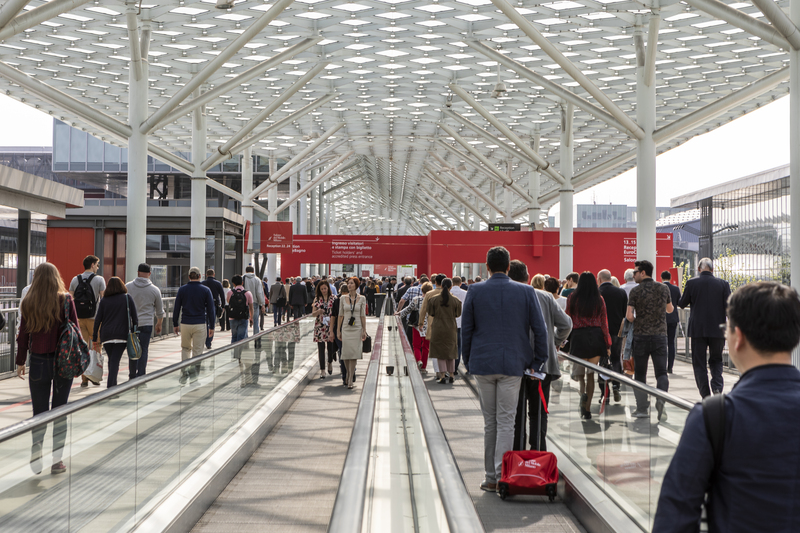 We are just weeks away from The 22nd edition of EuroCucina. 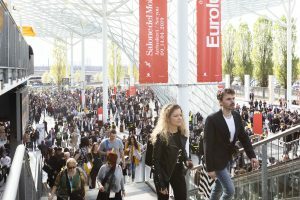 It will swing into action at Fiera Milano, Rho from 17th to 22nd of April. It is the sector’s most important and influential appointment, a forum for interface and discussion for leading Italian and foreign companies within the sector and a unique opportunity to scope the latest trends for the most convivial space in modern living. 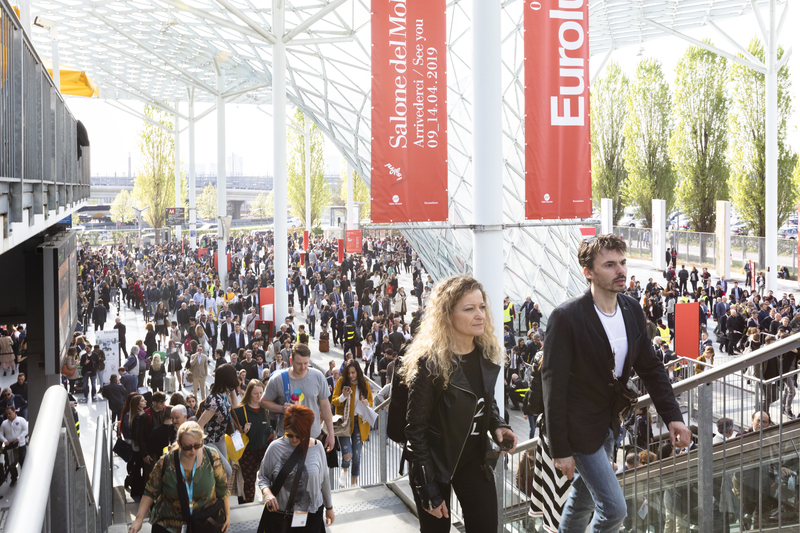 Eurocina is a big part of Saloni, every other year (on even years) is EuroCucina. 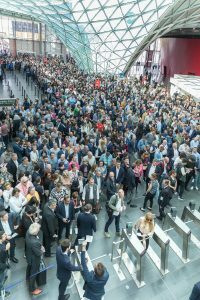 The key concepts driving the exhibits, showcased by more than 120 companies within an exhibition space measuring around 23,000 m2, are efficiency and evocation. Kitchens have ceased to be purely functional spaces to become domestic hubs, places for conviviality and socialising. This revival of the domestic hearth makes for an interconnected, multipurpose and professional space, yet one where emotions never fail to run high. 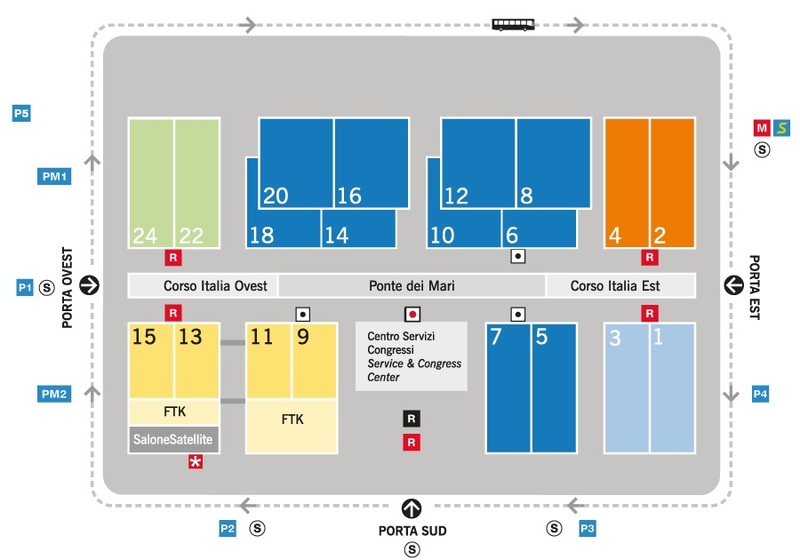 The more than 300,000 expected visitors will be greeted with a vast array of top quality goods. 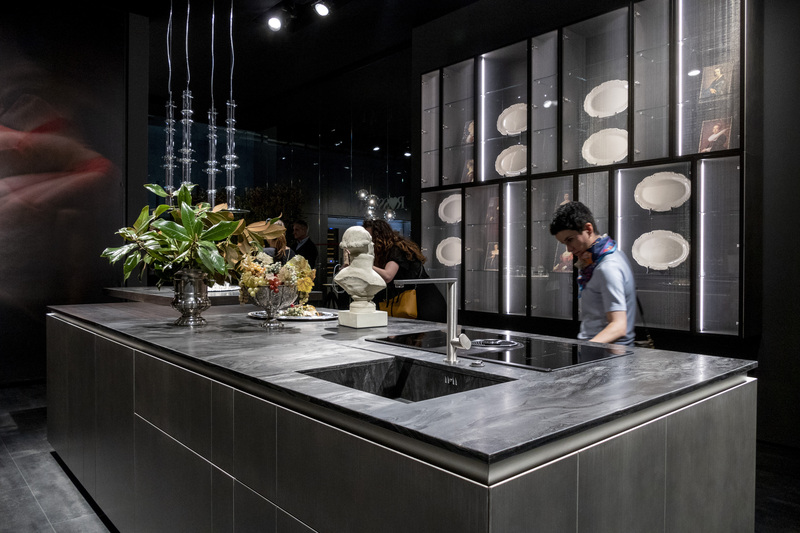 All the exhibits at EuroCucina embody contemporary design, technological innovation, next generation performance, energy efficiency and ease of use. 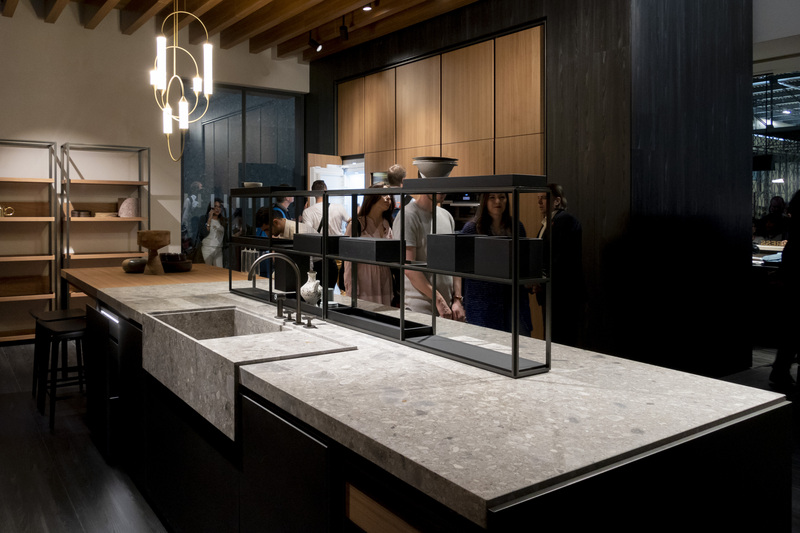 New shapes, colours and materials will help mark out the kitchen as a place for conviviality and interaction with the outside world. 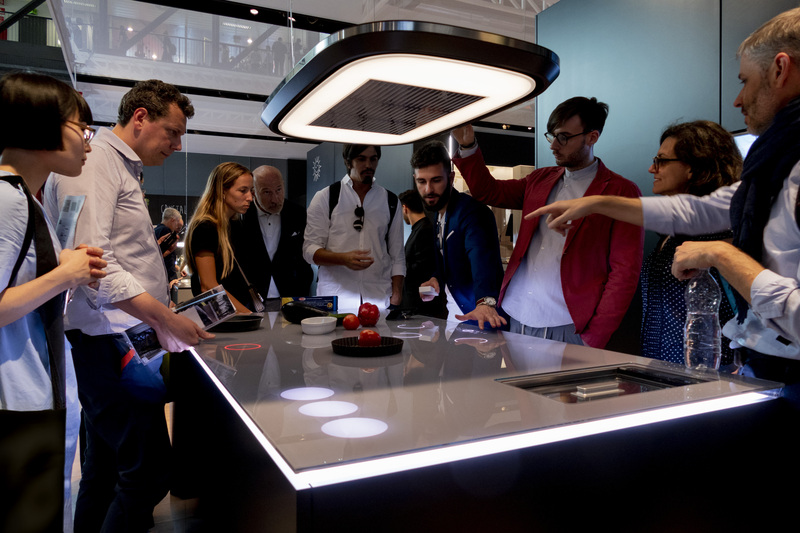 As always, FTK – Technology For the Kitchen will provide an overview of the state of the art technology of built-in domestic appliances, with models, prototypes and concepts conceived by companies that set tremendous store by research. The exhibition’s strong points are its immensely high product quality and wide range of goods, not simply showcasing the latest in contemporary kitchens but also providing interesting and intriguing insights into the planning and future evolution of this particular space. Kitchens are convivial spaces par excellence, favoured places for meeting and socialising, and are increasingly becoming open, fluid and, therefore, organised, orderly and functional areas. 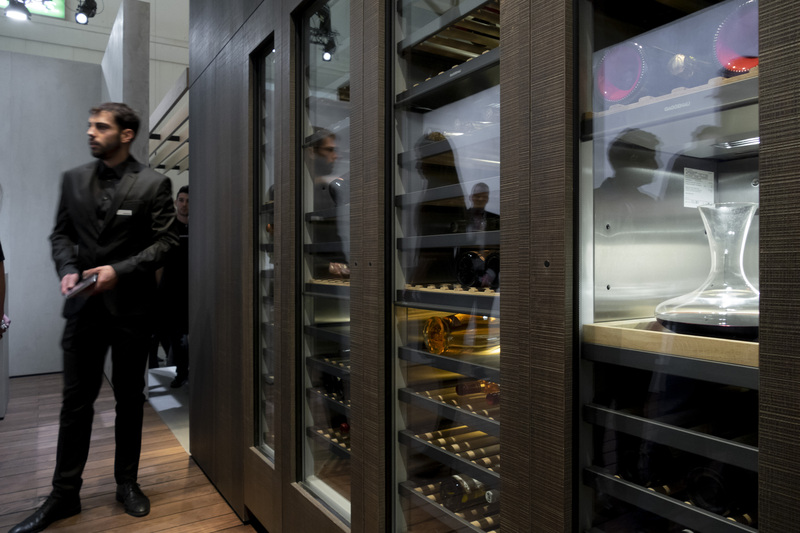 Opening out into living rooms calls for effective, intelligent and modular solutions. 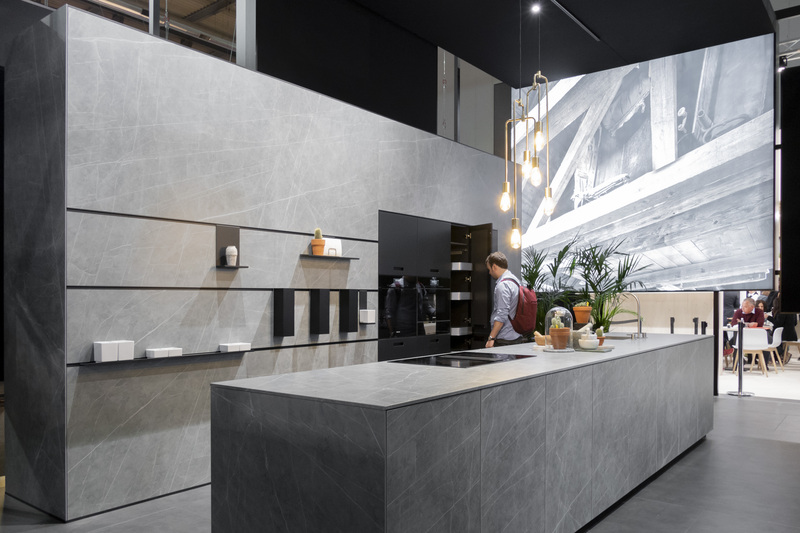 The concept of static spaces has been cast aside in favour of a touch of magic that can transform the space when needed, rather like a theatre set. 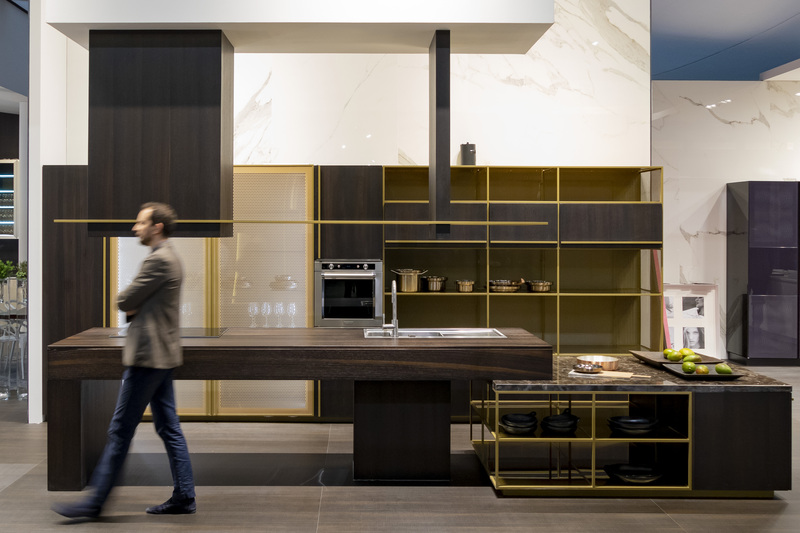 Modular containers conceal work stations, island units become increasingly multifunctional to enhance the performance of home chefs or simply to accommodate people gathering for coffee and a chat, cupboards and drawers are spacious, practical and super-organised so that everything is to hand. Given that one of the main objectives of a kitchen is to be welcoming, materials, textures and nuances are modulated to create a serene, relaxed and perfectly balanced environment. 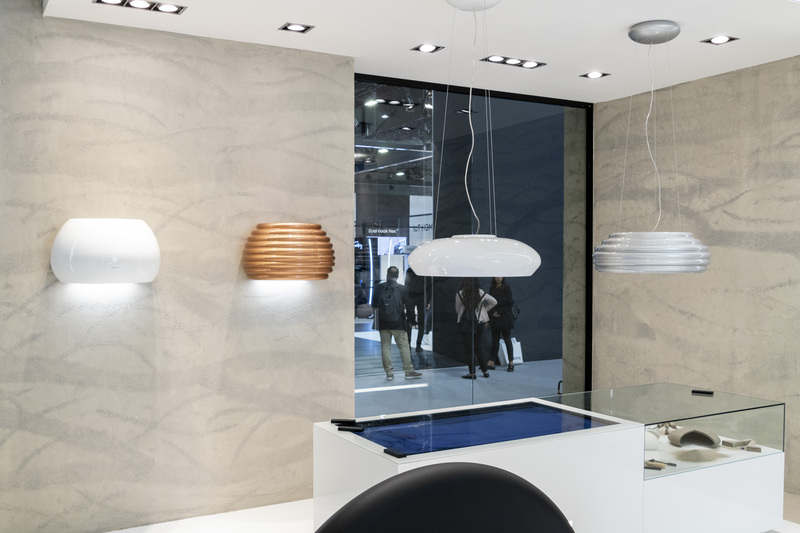 This has triggered the renaissance of natural stone and coverings that replicate it, as well as wood and metal. Colour is set to reappear, sometimes in very bright hues like purple and green. 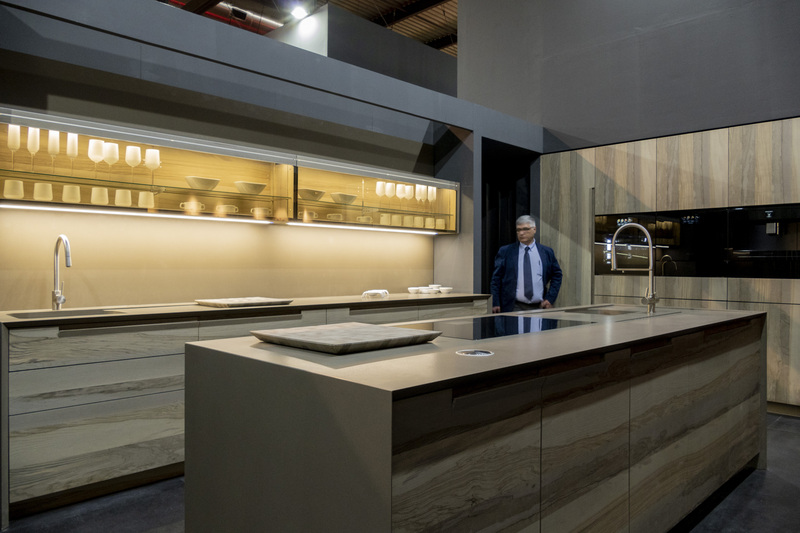 Basically, whatever type of cooking, living and coexisting we have chosen, EuroCucina will steer us towards the perfect solution and the best design to help us feel comfortable in what is the most “lived-in” part of the home. 2017 is still here but we can already start with a year-end review. And what a year this has been, for some of the largest and most known German companies. 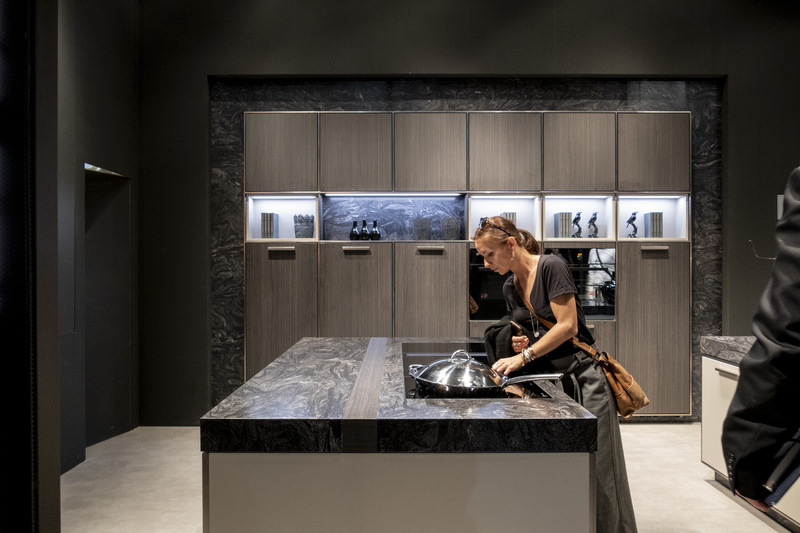 The Alno brand and the main factory in southern Germany – produced good quality kitchens, at a medium price – closed for good. Property and equipment is being liquidated. The Wellmann brand, with a factory in northern Germany – purchased by Alno some years back produced lower price point kitchens – closed for good. Property and equipment is being liquidated. The Pino brand, with a factory in eastern Germany – produced flat pack (knock down, RTA) cabinets, aimed at the budget kitchen market – sold to Nobilia. Production is scheduled to start again in December. The Forster brand, a Swiss company purchased some years back, by the Alno Group – producing metal cabinets – sold to Max Müller, the former CEO of Alno, who is Swiss himself. All that is left, at this point is the Alno name, but with all the negative that has happen to them in recent years, the image is just not too good and there are no buyers for the brand name. Next was SieMatic – just last month, the privately owned German kitchen brand announced the sale of the majority of the shares to the Chinese home appliance supplier Nison Group. Shareholders Ulrich W Siekmann and Kathrin André will remain as minority shareholders. 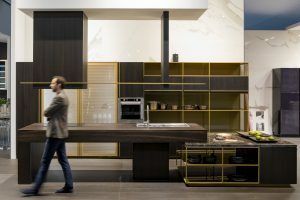 SieMatic sales turnover has been decreasing for years. Since they are privately owned, the sales can only be estimated and are now near €100 million. 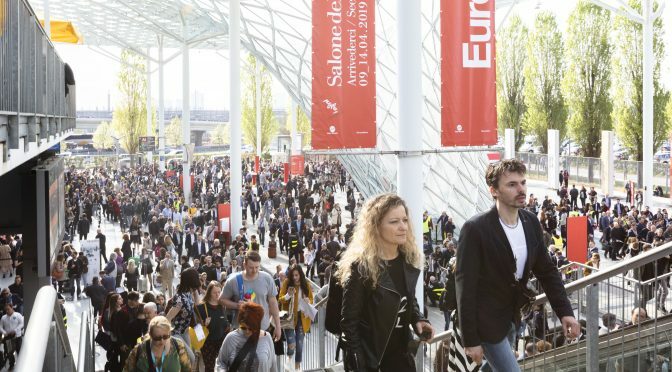 The hope is to speed up growth and the obvious focus will be the Chinese market, where the company recently gained market share, to become their 6th largest sales market. The management team headed by Ulrich W Siekmann and Silvia Weppler will stay with the company and will be responsible for international brand management from its present headquarters in Löhne, Germany. 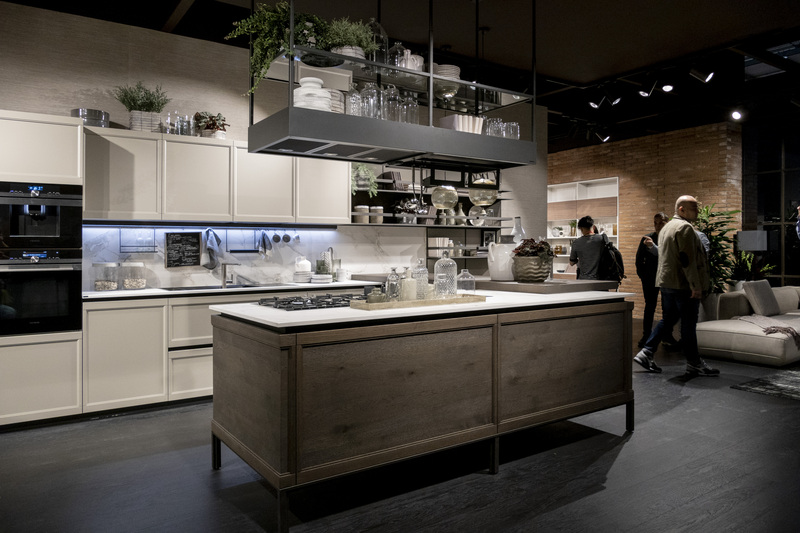 As reported by KBB Review – Darren Taylor, managing director of Winchester-based retailer Searle & Taylor, claimed the sale could see a return to form for the troubled brand. 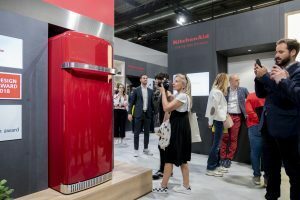 “While I always believed it would be very difficult for the Nobia Group to find a partner investor, I was surprised that the Poggenpohl brand was sold outright for such a limited sum, and to a private equity firm with excellent experience in building, self-building and related businesses, but not necessarily in kitchens,” he said. Another retailer, who wished to remain anonymous, commented: “It’s interesting but not surprising that Nobia have dumped Poggenpohl. 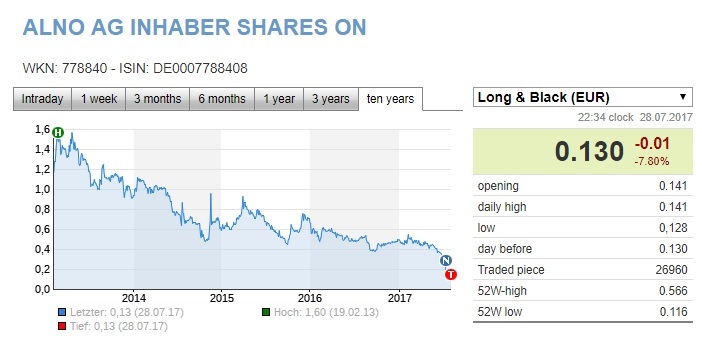 It was never their thing as Nobia are about low/mid market and big volume. I guess the thinking originally was that owning Poggenpohl would bring some high-end credibility to the group but in the end the cost of this proved more than they wanted to bear. 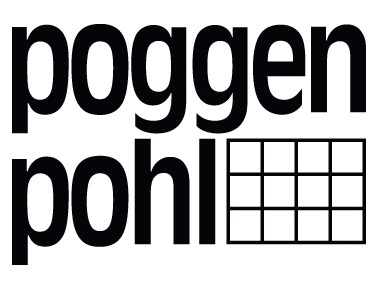 “So, there were no takers when they tried to offload Poggenpohl. A premium brand company making a loss and an investment business is taking it on? 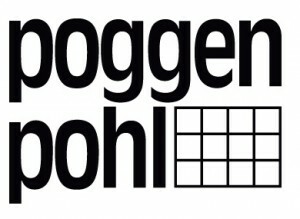 I wonder if Poggenpohl will now end up yet another high-end brand, selling a run of the mill product at a premium. It should allow the new owners a decent return on investment for a few years after which the name will be played out. 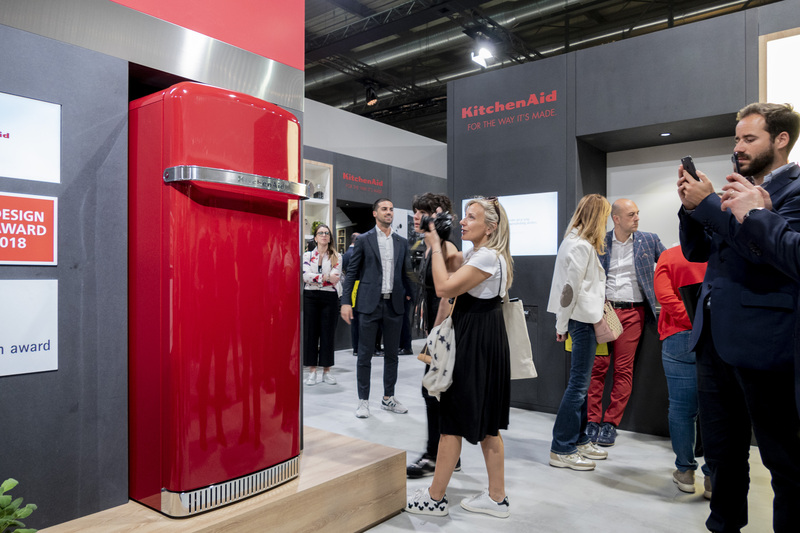 Now, for some good news – as these giants (or formerly known as such) are closing doors, losing market share or changing hands, other brands, that have are gaining that business. 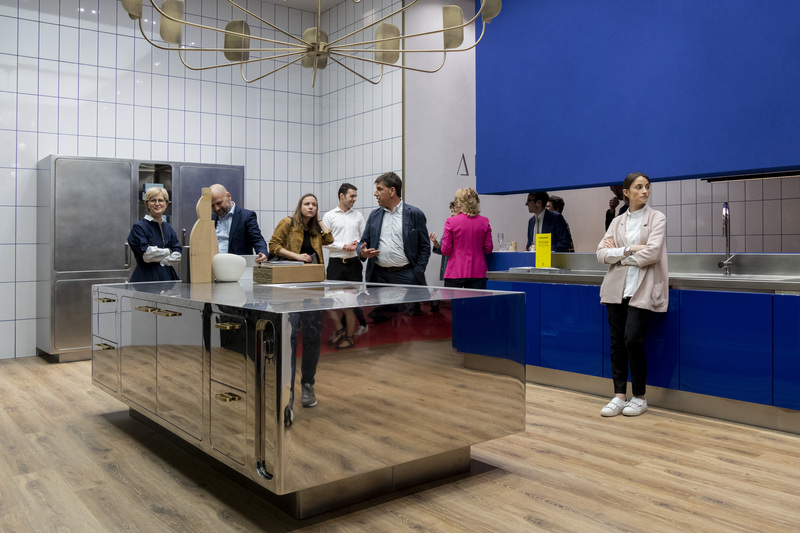 Nobilia, who was the first kitchen brand to break the €1 billion annual turnover, has purchased the Pino factory from the bankrupt Alno and will most likely gain some of that lost market share. 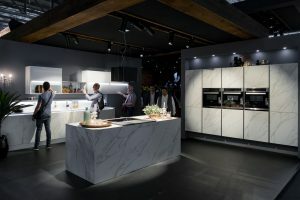 Other brands that are likely to gain Alno’s past business are Nolte, Häcker, Bauformat and Schüller – all able to compete at the low-to-mid priced market. Häcker has already reported sales of €512 million, vs. €466 million last year and are in the process of building a new factory, to handle the new found business. I was in London, when I heard the sad news. 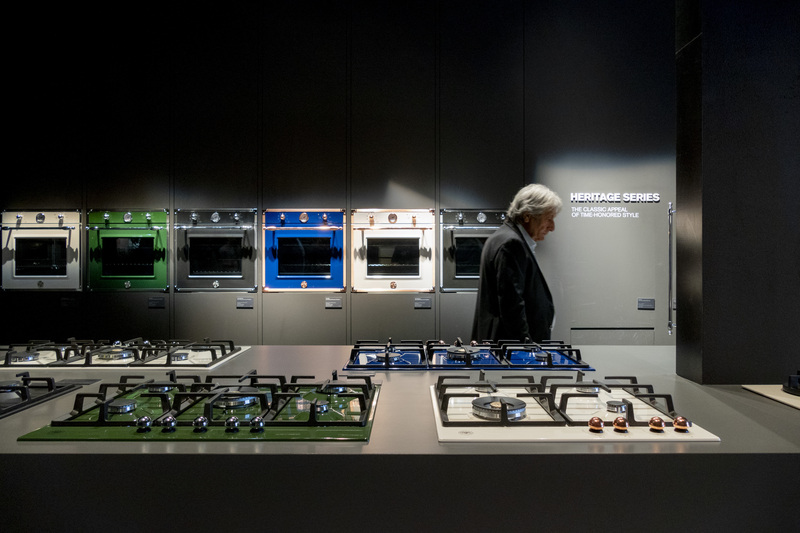 For somone who has been part of the European Kitchen Design business for more than 30 years, Mark Wilkinson was one of the greats. It is with great sadness that Canburg announces that Mark Wilkinson OBE, one of the world’s most influential designers has passed away peacefully at his home in Wiltshire. A truly English “eccentric” Mark Wilkinson was a visionary designer and an exceptionally skilled craftsman and furniture maker. Amongst other accolades, he was a Fellow of the Chartered Society of Designers, a Fellow of the City and Guilds Institute and a Liveryman of the Worshipful Company of Furniture Makers of the City of London; in 2010 he was awarded an OBE for Services to the Furniture Industry and Charity. Mark was also a member of MENSA. During his long career his designs ranged from clothing to object d’art, but it is for furniture that he will be best remembered. In 1977 his first kitchen design in old pine pioneered the “English Country kitchen” and launched a new industry specialising in this aesthetic and style of living. Mark was a co-founder of Smallbone of Devizes and in 1981 he founded Mark Wilkinson Furniture. The company was sold to Canburg in 2009 and Mark was made Group Creative Director; he remained involved in the business until his death. Best described as “furniture alchemy” the designs and artisan making of Mark Wilkinson Furniture carries forward Mark Wilkinson’s values in every piece that the company makes – inspired by a sustainable vision of bespoke furniture, rich with heritage and imbued with Mark’s infectious creativity. Born in 1950, in North London, Mark’s early educational experiences as a child with dyslexia, informed both professional choices and personal passions. He had a long-standing commitment to supporting charities for dyslexia and the educational needs of children with the disability. He and his wife, Cynthia, had recently formed the Mark Wilkinson Foundation for Innovation and Employment to help further the ambitions and careers of young people with dyslexia. Is it AL NO more…? After being in difficult financial situations before (see our story from 2011) this time, the Alno Group may have reached the end of the line… Reported by Teleboerse, Alno AG is unable to pay back their €28,500,000. 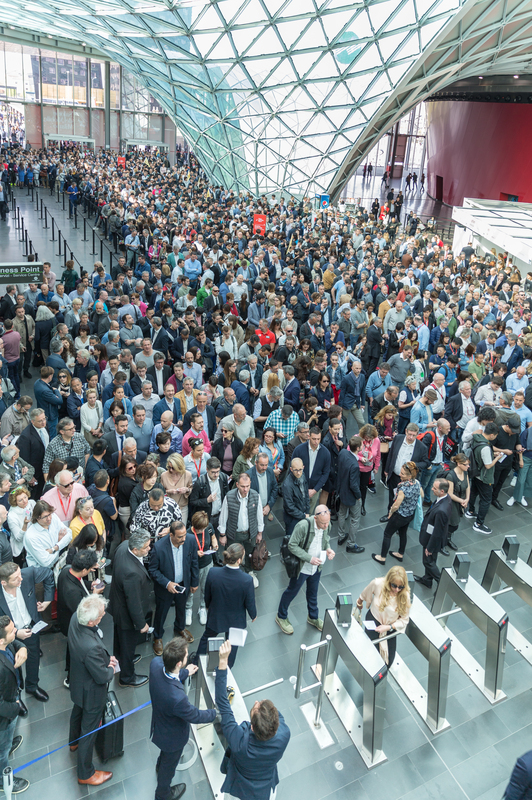 depth to the banks, on July 12th, the Alno Group was forced into a liquidation process. 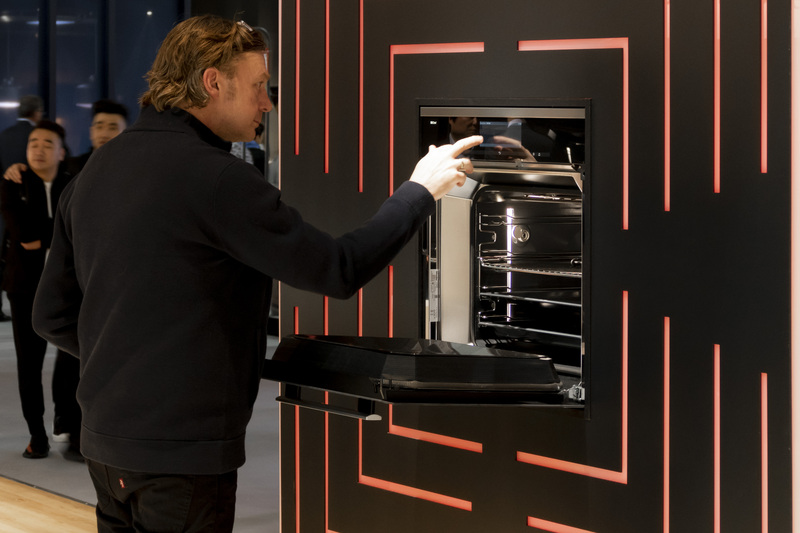 For years, the kitchen manufacturer Alno has been struggling with problems – now the company goes into insolvency. Alno AG will apply for insolvency proceedings in self-administration on account of the insolvency of the company, said the company, based in Pfullendorf in Baden-Württemberg. The Board decided to take this step, because negotiations with potential investors and creditors “could not reach an agreement at last,” a communication said. Since the exchange in 1995, Alno has suffered losses every year, with only a few exceptions. In the first half of 2016, according to the company, these pretax taxes amounted to 28.5 million euros. It was only at the end of June that the company postponed the publication of its balance sheet for the entire fiscal year 2016 for the third time. Sales in the first five months of 2017 fell by 6.8 percent compared to the previous year. After the announcement of the insolvency, the Alno stock fell by more than 50 percent to just under 0.14 cents on Wednesday morning and thus cost less than ever before. Alno has also issued a € 45 million SME loan, which will be due in 2018. The Protection Association of Capital Investors (SdK) expects investors to lose money as well. It is to be expected that bond creditors will be required to contribute to the financial rehabilitation of the company. 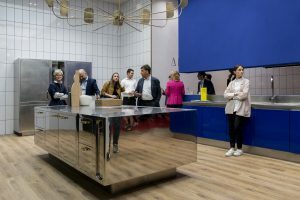 At the end of May, the group had surprisingly announced a change of boss: The previous Chief Executive Officer Christian Brenner – a representative of Alno’s major shareholder Tahoe Investors, behind which the Bosnian entrepreneur family Hastor stands – followed the previous CEO Max Müller. The entrepreneur’s family, which caused headlines with the failed power takeover of the Bavarian car supplier Grammer, had taken over the scepter at the highly indebted company several months ago. The manufacturer had since then taken a new austerity plan and announced that the loss of 350 jobs in the administration would save millions. Over the past few years, the company has had several vacancies. How many are up to date, was initially unclear. The restructuring plan, which was initiated at the beginning of the year, should now be continued within the framework of insolvency proceedings under the management of the existing Management Board, the company said. The competent District Court of Hechingen was initially unable to reach an opinion. The subsidiaries Gustav Wellmann GmbH & Co. KG and Alno Logistik & Service GmbH would also be included in the insolvency application. All other domestic and foreign subsidiaries, including Pino Küchen GmbH, are not affected by this. The business continued to run unchanged. The company was founded in 1927 in the workshop of carpenter Albert Nothdurft. Over the next 30 years, the company grew consistently and eventually moved to Pfullendorf, where it is still based today. In 1958 ALNO Möbelwerke GmbH + Co KG was officially founded. In the following decades the company achieved international recognition for its kitchens. In 1995 ALNO became a public limited company and one of Europe’s market leaders. Over 750 employees based at Pfullendorf ALNO factory.